UPMC Susquehanna, a network of hospitals and medical centers in Williamsport, Wellsboro, and Muncy in Pennsylvania, has announced that the protected health information of 1,200 patients has potentially been accessed by unauthorized individuals. 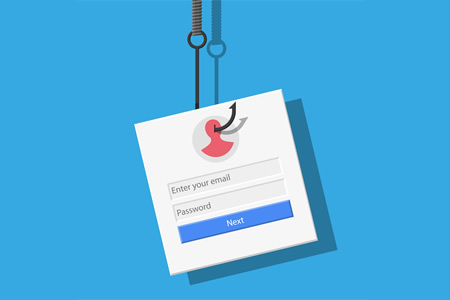 Access to patient information is believed to have been gained after an employee responded to a phishing email. While details of the breach date have not been released, UPMC Susquehanna says it discovered the breach on September 21, when an employee reported suspicious activity on their computer. An investigation was launched, which revealed unauthorized individuals had gained access to that individual’s device. It is not known whether the attacker viewed, stole, or misused any patient information, but the possibility of data access and misuse could not be ruled out. The information potentially accessed includes names, contact information, dates of birth, and Social Security numbers. The individuals potentially impacted by the incident had previously received treatment at various UPMC Susquehanna hospitals including Muncy Valley Hospital, UPMC Susquehanna Lock Haven, Sunbury Community Hospital, Soldiers and Sailors Memorial Hospital in Wellsboro, Williamsport Regional Medical Center and Divine Providence Hospital in Williamsport. UPMC Susquehanna responded quickly to the breach, terminating unauthorized access. Staff have also been provided with “intensive retraining” on hospital policies and appropriate federal and state laws to prevent any recurrence. UPMC Susquehanna stated this training was in addition to the annual training sessions already provided to all staff members on the privacy and confidentiality of patient health information. UPMC Susquehanna has also conducted a complete review of its policies and procedures for keeping patient information secure. All patients impacted by the incident have been offered complimentary identity theft protection services and have now received notifications in the mail. Patients have also received instructions on the steps they can take to protect their accounts and credit in case their information is misused.